I’m back with another week of meal ideas for you. In case you missed last week, check out A Week of Quick, Healthy Meals. This week I’m sharing A Week of Gluten-Free Meals! Hopefully this will give you some new ideas to add to your weekly menu. Don’t feel like you have to use every single one, even trying just one or two that sound good is a great way to try new recipes! 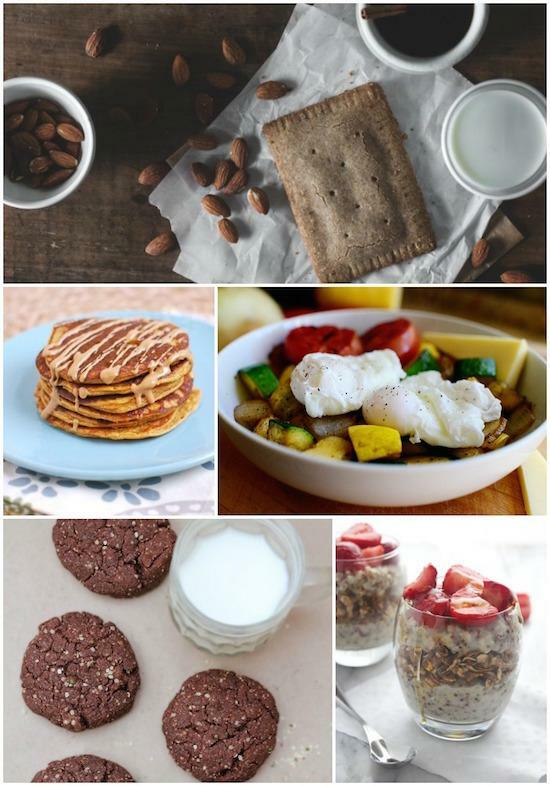 Make a batch of breakfast cookies or poptarts to have on hand for a grab and go breakfast during the week. Pre-chop some veggies for the carb buster breakfast so there’s less work to do in the morning. Make a batch of quinoa and granola to have on hand for quick parfait assembly, or assemble a few parfaits ahead of time and keep them in the fridge. Make a big pot of soup or pho to pack for lunches. Make some tuna salad- eat it on a sandwich for lunch one day and with veggies the next to change it up! Make a batch of turkey meatballs so you can quickly pack them in your lunchbox. Make a meatloaf and stick it in the fridge without cooking. One morning next week add it to the crockpot before work. Chop all the veggies and cook the beans and chicken for the enchiladas. Make a pot of chili so all you have to do is reheat and pour over potatoes for dinner. Make a double batch of veggie burgers. Stick half in the fridge to eat this week and half in the freezer for a later week. Need some new meal ideas? 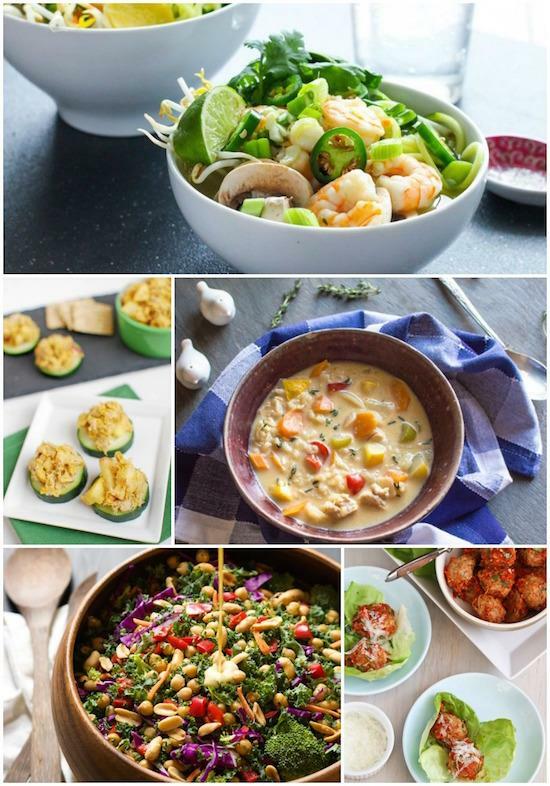 Here’s A Week of Gluten-Free Meals from @leangrnbeanblog! I think a lot of these ideas and tips could be applied to most food preparation. I’ve always found that preparing things way before (IE: not the morning of, is the key for me to actual meal prep and eat well). Thanks for sharing Lindsay! gf pop tarts? yes, please! you know i LOVE ALL! HAPPY dance right here! Thanks for including my meatloaf! I am pinning it now. Those meals look delicious! I think first up will be that meatloaf, that is something I haven’t had in years. 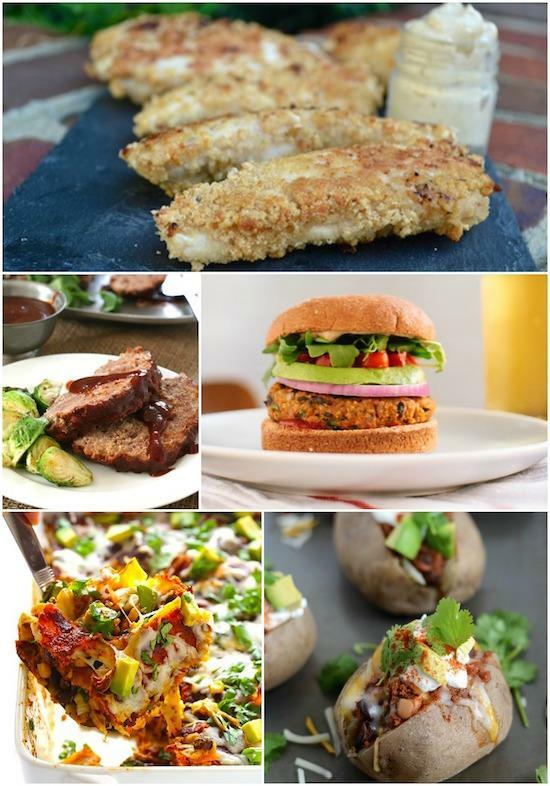 Oh my gosh, soooo many delicious recipes here! Thanks for including my soup recipe, friend! Thanks for sharing Lindsay! I love the idea of gluten free meals for the whole week all in one post–talk about convenient! I’ll have one of each! I wanna try those pop-tarts!